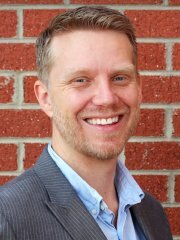 Shaun Kellogg is a Research Scholar at the Friday Institute for Educational Innovation at North Carolina State University. He currently serves as a lead evaluator on a 1:1 a pilot program in TN, VIF’s Learning Center, and MOOC-Ed initiatives. He has recently served as a Principal Investigator on a MOOC Research Initiative grant funded by the Bill and Melinda Gates foundation, and co-researcher on a U.S. Dept. of Education funded study involving online communities of practice. Prior to his work in research and evaluation, he spent 10 years in K-12 education, beginning his teaching career as a Peace Corps Volunteer and later teaching in the public school systems of Michigan and North Carolina. In 2009, he received the NCCTM Outstanding Elementary Math Teacher and was awarded Math Teacher of the Year by his school district. He holds a B.A. from the University of Michigan and teaching certification from Michigan State University, a M.A. in Educational Technology from Western Michigan University, and Ph.D in Education from North Carolina State University.